Ideal for school use. 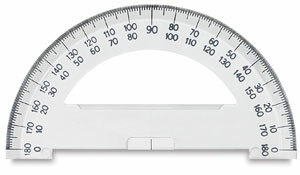 This protractor features .060" clear plastic with a solid center design and beveled edges. 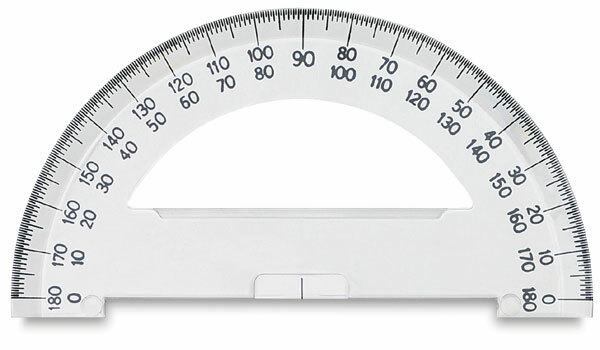 It has clearly stamped graduations in 1° increments.